Frank Boyd, Illinois Wesleyan's Associate Provost and Title IX Coordinator, has been named Vice President of Academic Affairs and Academic Dean of Guilford College, a small liberal arts college in Greensboro, North Carolina, effective July 15. Boyd joined Illinois Wesleyan's faculty in 1995 in the Department of Political Science, and he was twice elected the Student Senate Professor of the Year. 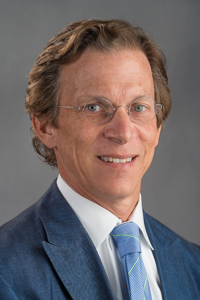 He has served his colleagues in a number of administrative roles, including Chair of Political Science, Director of General Education, Associate Dean, Associate Provost, and Interim Provost. Boyd also was the project manager for the construction of State Farm Hall and partnered with faculty and staff colleagues on a variety of initiatives for faculty and curricular development. “I’ve had a number of significant accomplishments while at Illinois Wesleyan,” Boyd said, “but I am most proud of the opportunities to support the outstanding work of my faculty colleagues." "I congratulate Frank on his new role and applaud President Fernandes and Guilford College on their choice," said IWU President Eric Jensen. "I've appreciated Frank's strategic thinking, collaborative style and leadership on campus priorities, including our diversity initiative with the Posse Foundation. I'm grateful for his service to Illinois Wesleyan for the past 22 years and especially on my Cabinet." Prior to coming to Illinois Wesleyan, Boyd served as Deputy Staff Director of the Council of Freely Elected Heads of Government, where he participated in elections monitoring projects in Guyana, Panama and Mexico. He earned his Ph.D. in political science at Emory University and his bachelor’s degree in Latin American Studies at the University of Alabama. 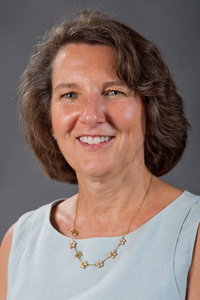 Lynda Duke, who is concluding her four-year term as Associate Dean of Curricular and Faculty Development at Illinois Wesleyan, will succeed Boyd as Acting Associate Provost. A call for a permanent Associate Provost will be sent to the faculty after the current provost search concludes and the new provost has begun his or her tenure at IWU. Duke joined Illinois Wesleyan as an assistant professor in The Ames Library in 2001, and was promoted to professor in 2012. She earned her master's degrees at the University of Michigan and the University of Illinois, Urbana-Champaign and her bachelor's degree at Michigan State University.